With the growing popularity of pocket-size devices among web users, mobile design has become one of the fastest growing industries. It comprises not only the creation of website templates, shrunken to a convenient size, but most importantly, turn its attention to the new, cooler kid in town – mobile applications. They come in all styles and have a single purpose – answering the market demand for entertainment, content curation and facilitation software. 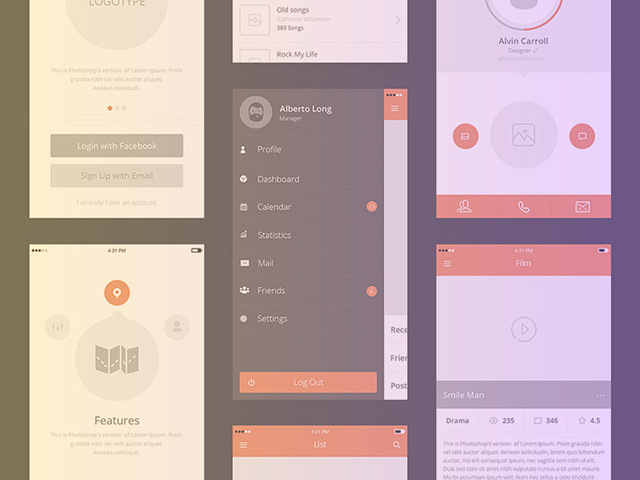 Divided into five main sections, this collection of free app UI templates combines a vast selection of free user interface designs, ready to be put in action. Win Awwwards’ mobile design contests with a design-inspired e-commerce app. 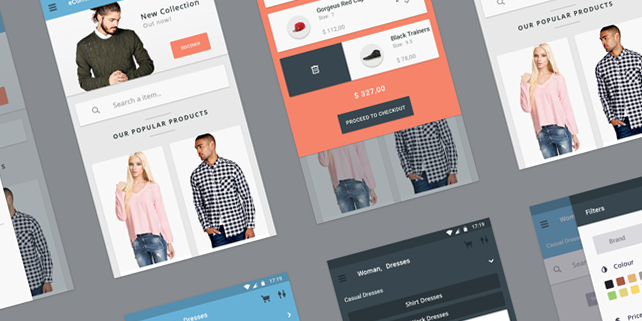 Let these gorgeous E-commerce app templates push yours sales to the top with a flawlessly-crafted shop application user interface. These free app designs will make user engagement boosting feel like a breeze and help you easily create a beautiful online shop of your own. Elegance: This crispy iOS app template by PixelBuddah will make any E-commerce mobile app thrive. Its dazzling grid-based design will make any shoppaholic fall under the possessing power of this marvellous app design. E-Commerce Concept: Sevolfo’s shop concept app design brings you in the E-commerce Mecca with crisp elements and an awesome palette to appeal to any customer stopping by. We’ve all had it with browsers crashing under the rough grasp of badly mobile-optimized websites. Show the world there is some hope to hang on with a beautifully designed and smartly coded online magazine app. Get inspiration from this free blog and magazine mobile UI kit and allow readers to admire breath-taking photography on their mobile phones via an elegant blog app with full retina display support. Ghost Ship: Readers won’t turn their eyes away from your magazine app with PixelBuddah’s Ghost Ship UI kit. If you want to make a bold statement with a gorgeous blog and magazine app design, you better check this one out. 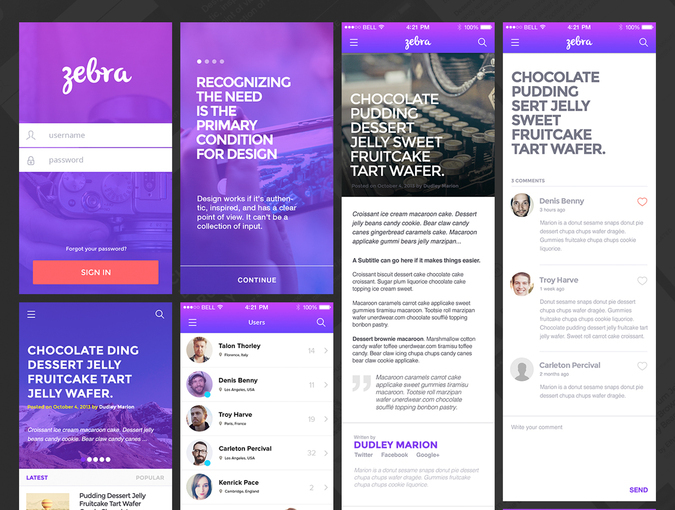 Zebra: If you want to be on wave of mobile design, you need to take a loot at Zebra. This purple-tinted app design is ideal for article reading and community-based online magazines. It is completely free and available for commercial as well as personal use to any crafty mobile app designer who wants to impress the world with his next gorgeous app. Hero: A gaming magazine app UI template by Vladislav Kamelsky which impresses with a marvellos set of photo-focused page templates and a great collection of concept designs. Create the next WeatherBug app or blow the competition away with a next-gen weather application with a twist of crispy comedy and a side of awesome accuracy, like Vanschneider’s Authentic Weather app. Or maybe enter the mysterious realms of the sands of time and dagger up the app store with a time app to amaze even the most unyielding users. 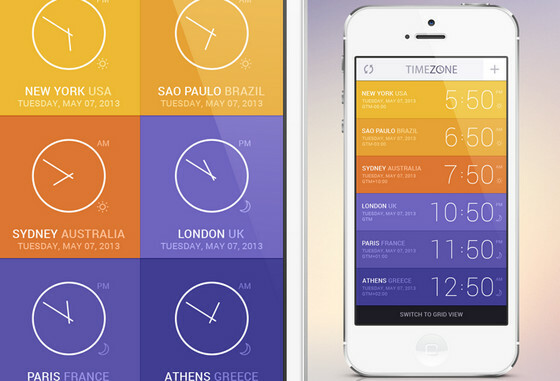 Time Zone App: This time zone app UI uses the simplicity of Windows Phone – inspired designs interlacing it with iOS’s elegant minimalism. Weather App: A gorgeous design released on TapTapIdeas which is free for personal and commercial use for any weather enthusiast to build his next amazing app on. 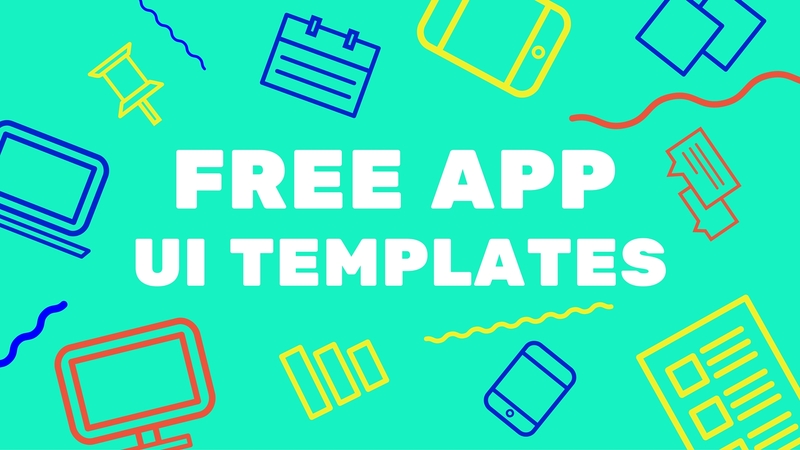 These gorgeous free mobile app templates but design freebies on another level. Inspired by the web’s latest visual trends, these UI kits entangle high functionality with creative design to provide the highest degree of mobile user experience known to humankind. TETHR: InvisionApp has all-time favourite free UI template, TETHR, has answered all your prayers on usability, convenience and catchy design. This free iOS – inspired template will shake your world with a limitless number of page templates and a beautifully-crafted interface. Awesome kit: A completely free prototyping kit release by Awesomed, which contains over 100 page concepts and features a fresh iOS look. 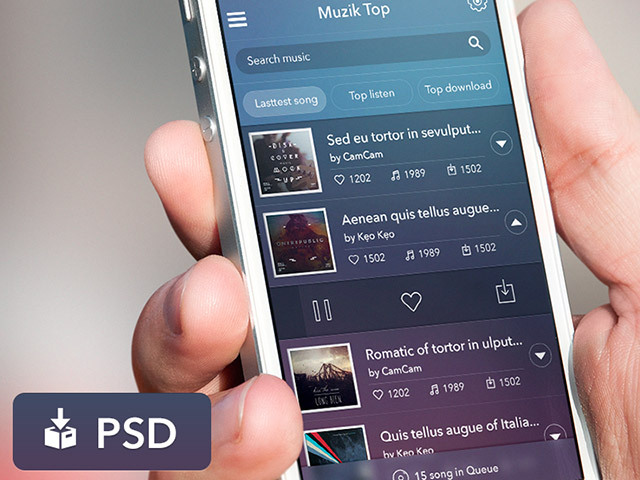 Music App: Get lost in the magical world of music with this exquisite iOS app template by the Vietam-based designer Mạnh Nguyễn Tiến. Do: Another great project by InvisionApp featuring an elegant To-Do app UI kit with an iOS-inspired appearance. 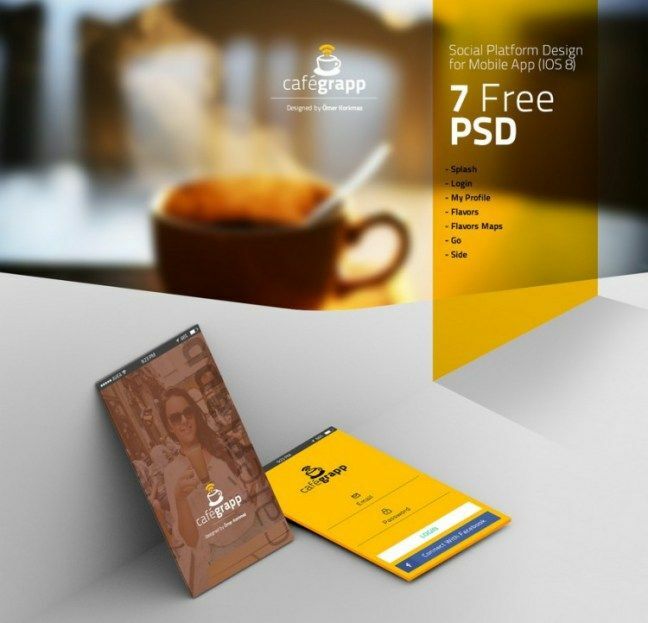 Cafegrapp: A beautiful and mouth-watering app template by Omar Kurkman which will make visitors grab the first flight to your town just to have a taste of your signature diner meal. Nagram: Another sleek music app template for iOS which has enough beauty to make Spotify jealous. Mobile design is a complex process which involves all branches of the IT sector. From design and user experience to coding and final launching. Mobile application development experts successfully incorporate all these spheres by applying proven techniques and following the latest trends in app design, making hiring a professional team the most practical choice. Yet, if you are a design enthusiast, these UI freebies will come in handy, helping you build upon existing ideas and templates.